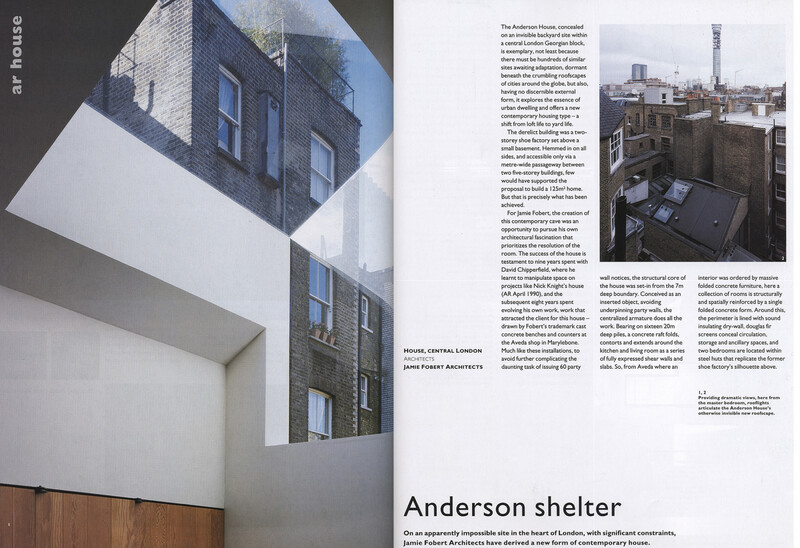 Hidden within the centre of a residential block in Fitzrovia, Central London, stands Anderson House. 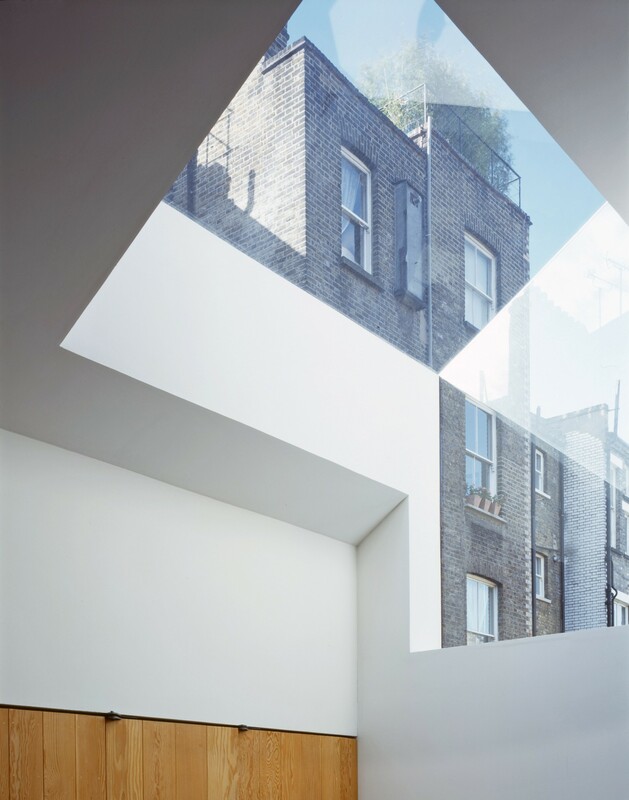 Enclosed on all sides by 7 metre high party walls and with only a 1 metre wide access from the street, the proposal to insert a house into this void was a great challenge. 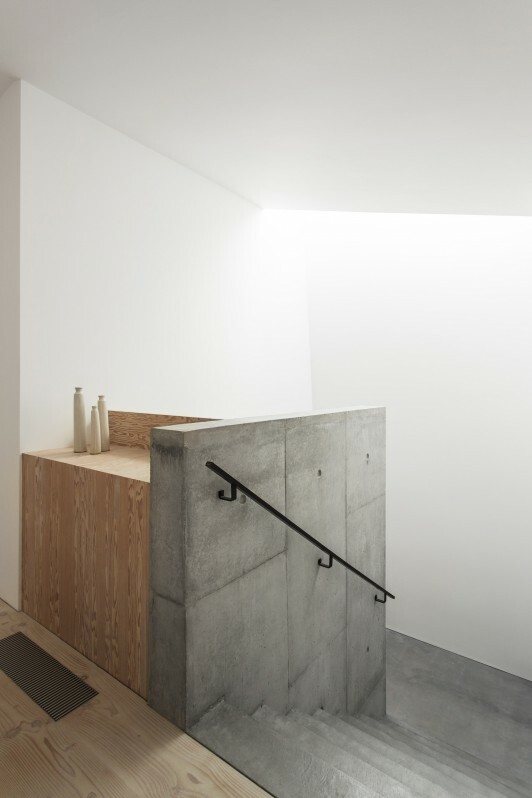 Within this restricted space a quietly powerful series of volumes was created where light has been treated as a material around which to form the house. 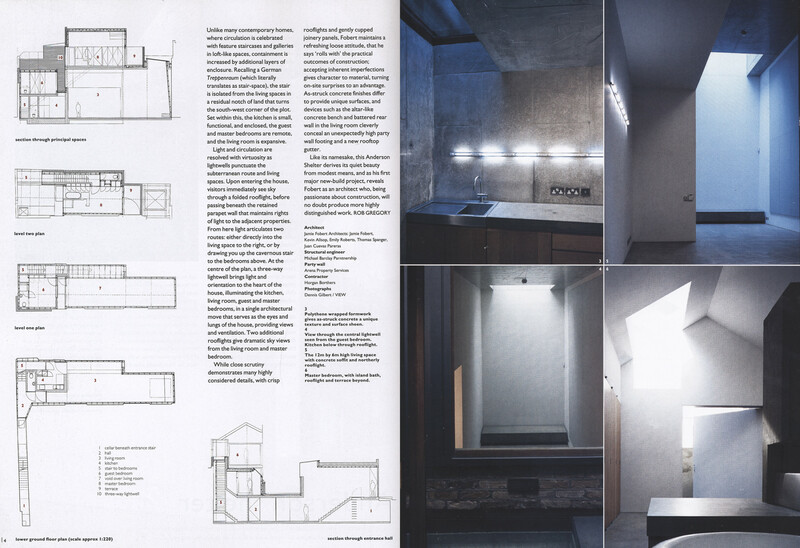 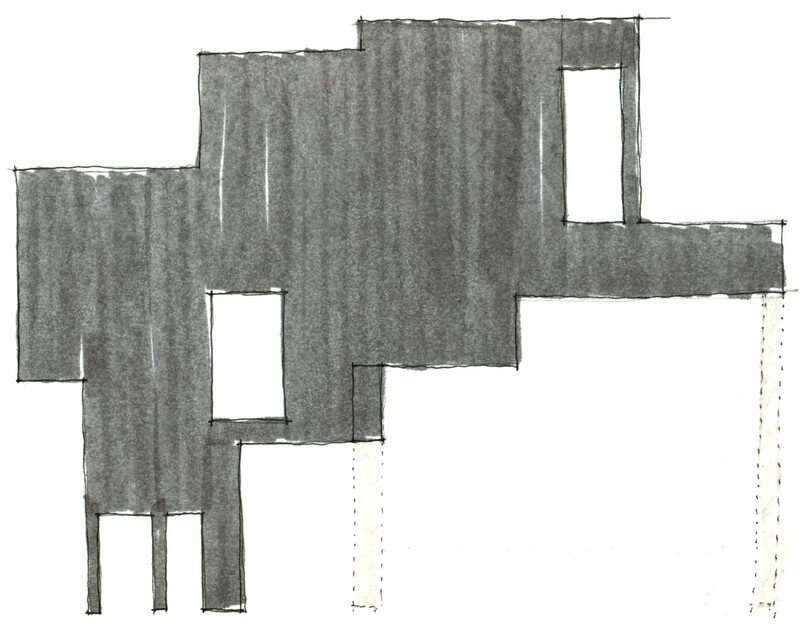 Our client wanted a house that embodied solidity and light, volume and texture while also resolving the difficulties of the site in the simplest way achievable. 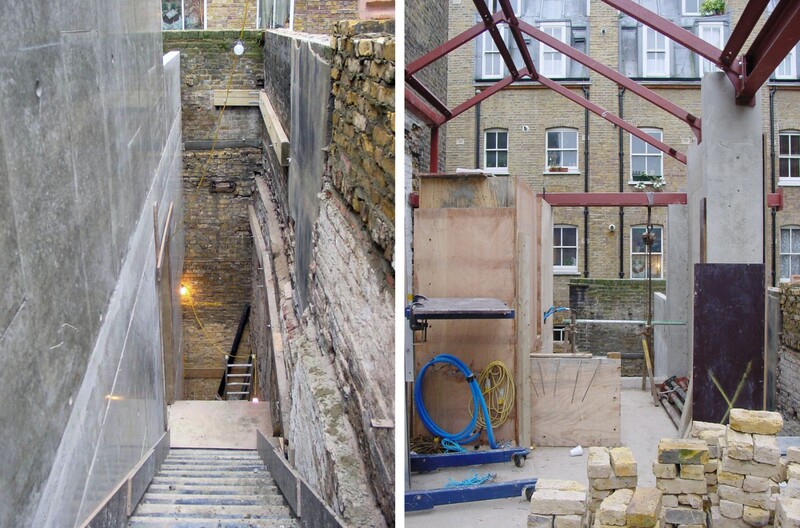 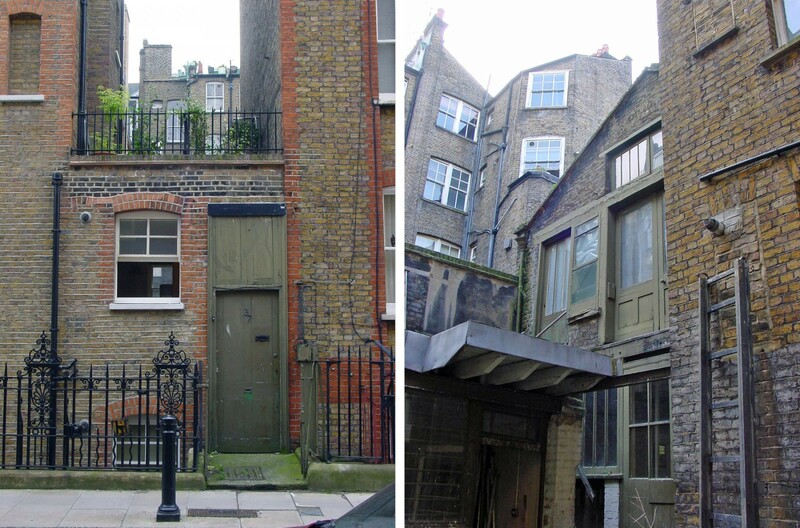 The long descending passage from the street gives the house a distance and sense of removal from the city. 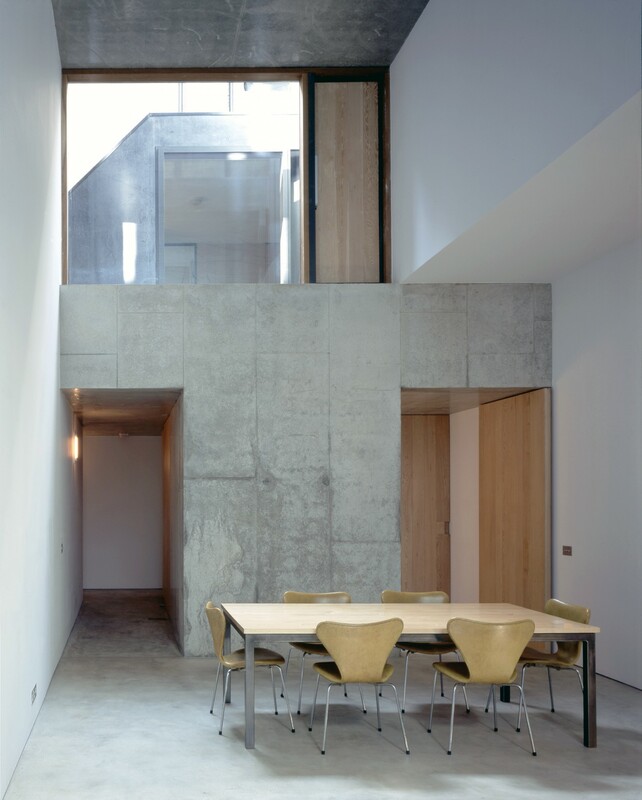 A concrete structural core rises through the house, forming the kitchen enclosure and the stairs and spreading out to form the living room ceiling. 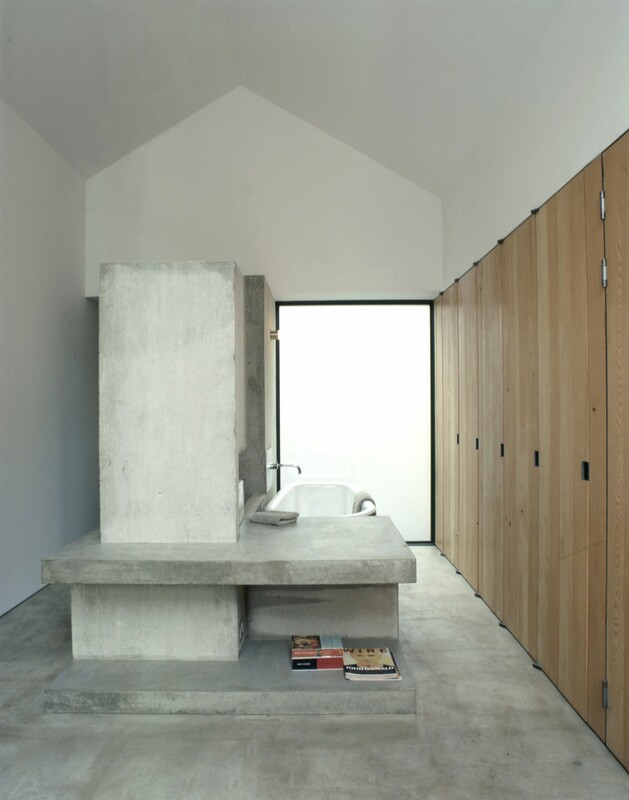 This structure in insitu concrete became the primary element in the design, adding a strong sense of materiality. 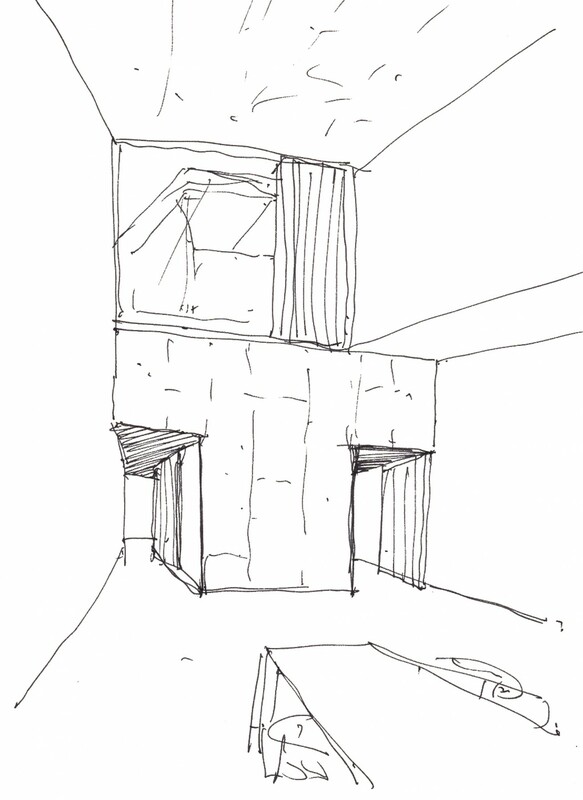 The main living space took the maximum volume the site could afford and became generous beyond any expectation when entering the house. 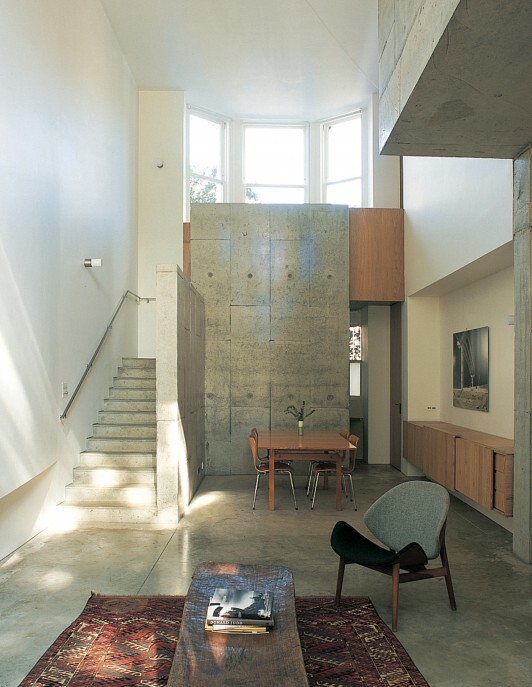 As you enter the 5.5 metre high room, light falls from above through the large window to the court. 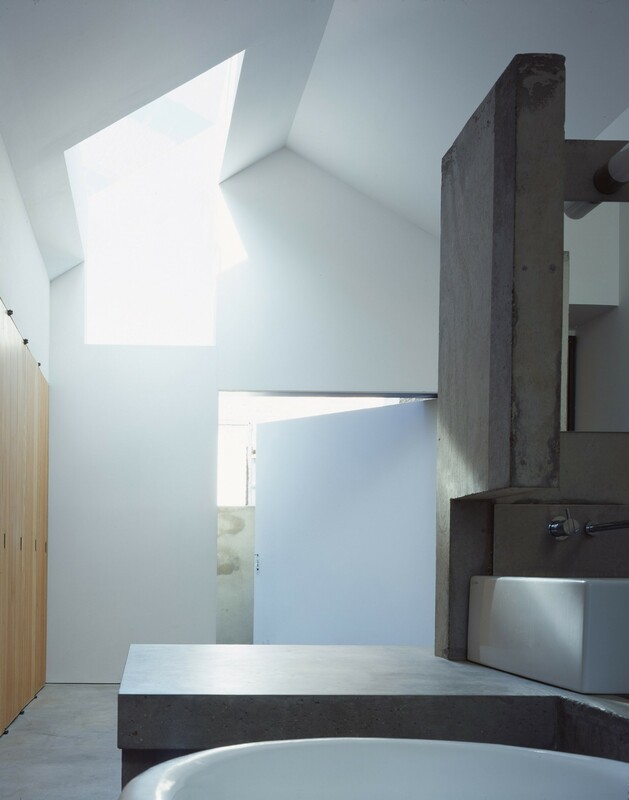 At the far end, light pours in through the rooflight. 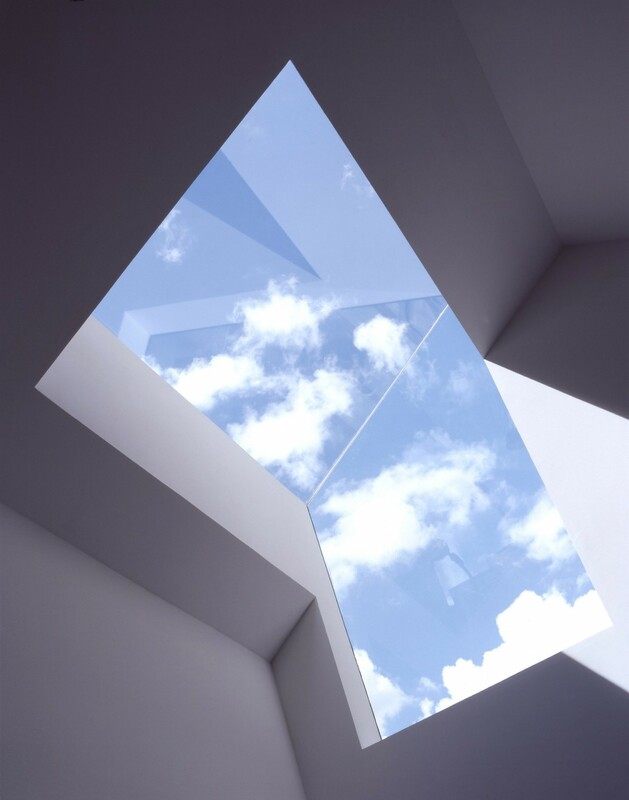 Both of these open to allow ample cross ventilation. 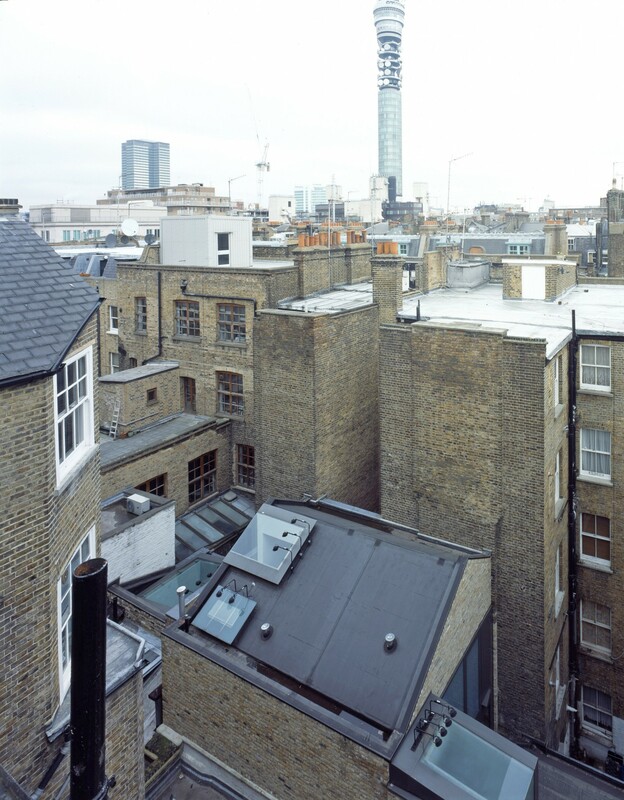 The uncluttered view of the sky from the rooflight shows no indication of the urban, inner block location. 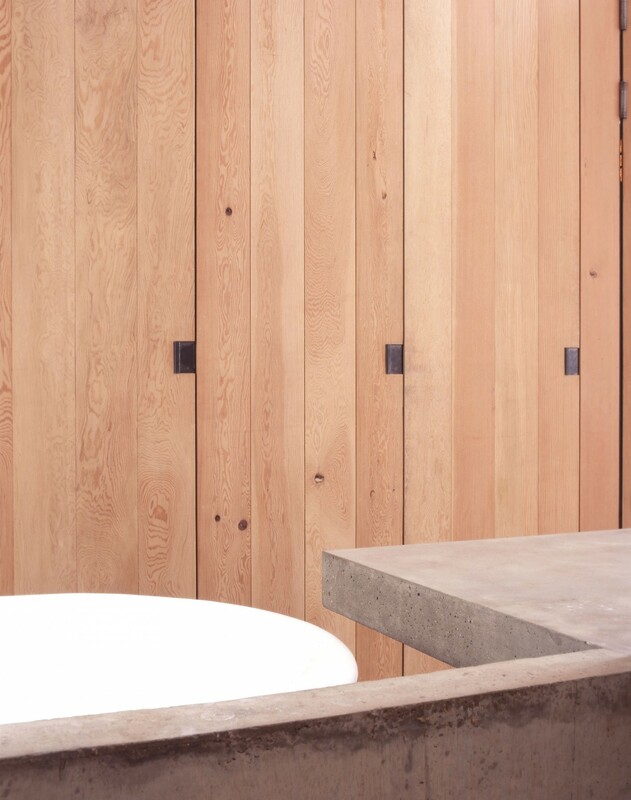 Each element of the house is constructed from a limited set of materials, exposed concrete, solid Douglas fir and stainless steel. 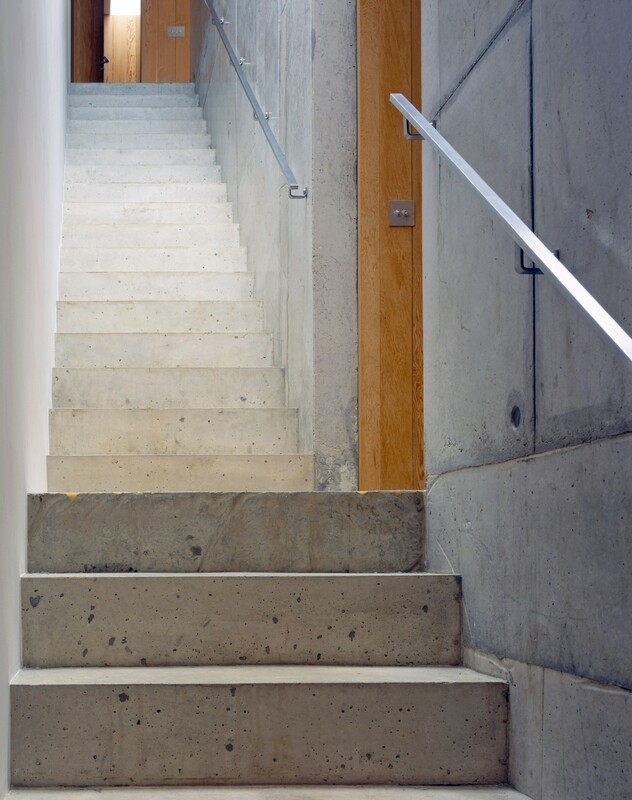 The restricted site access meant that construction would be difficult so in situ concrete was an ideal solution. 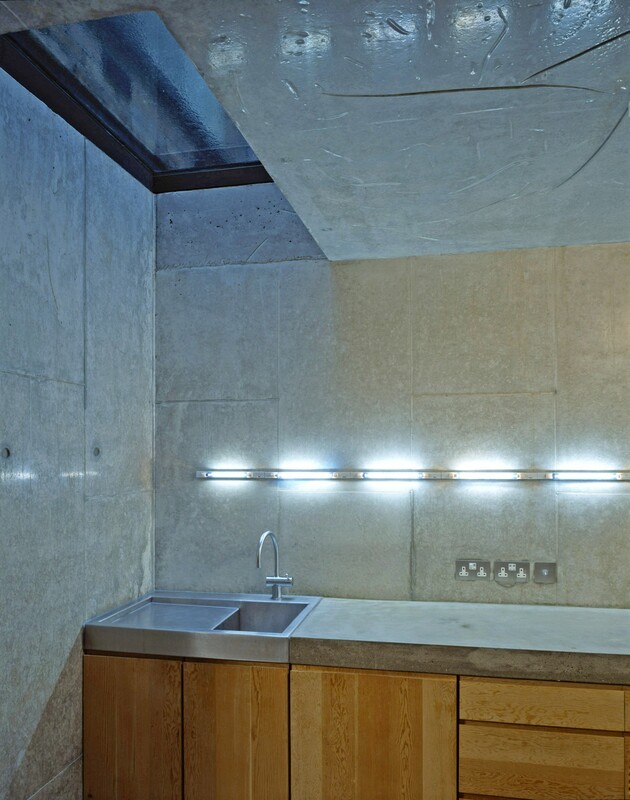 An innovative surface treatment was developed to give the concrete a highly reflective and luxurious finish which also lends itself well to the sculptural qualities of the concrete elements. 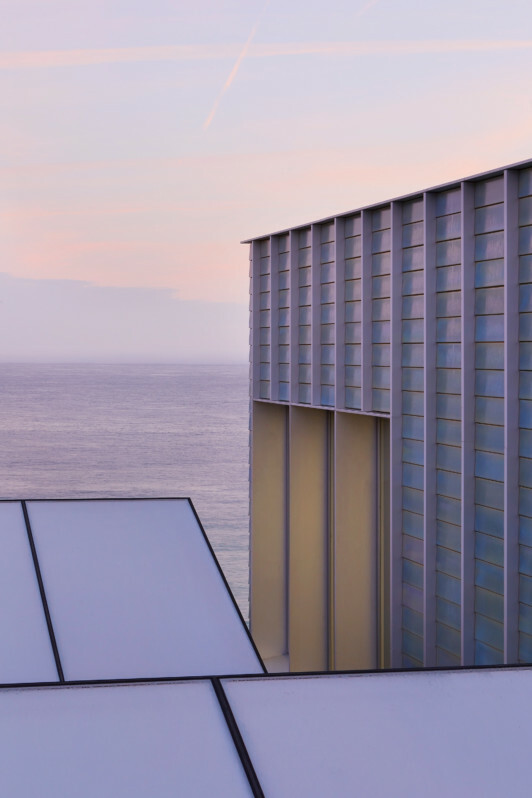 “This project is a shining example of how an innovative, contemporary and spatially aware architecture can be constructed in the heart of a Conservation Area.” The Manser Medal Jury.